What an interesting concept, Babycakes. 'They' say you can inherit things from past generations, and not just physical attributes like curly hair. Hi Fiona, I've always loved Ralph Lauren. I didn't know he is a fellow Libran :) I remember his ads for Lauren perfume in the 1980's. I thought the model for it - I think her name was Clotilde - was so beautiful. I adore his style, it's very old-world traditional elegance with a bit of a rustic equestrian feel. I understand how you feel about guilt. I am always experiencing it as well. Especially when I realize how much I have and how comfortable I am in my life now. Since I grew up poor (and I mean poor as in no-food poor) I am constantly reminded how spoiled I am now as an adult. Sometimes it is hard to reconcile. 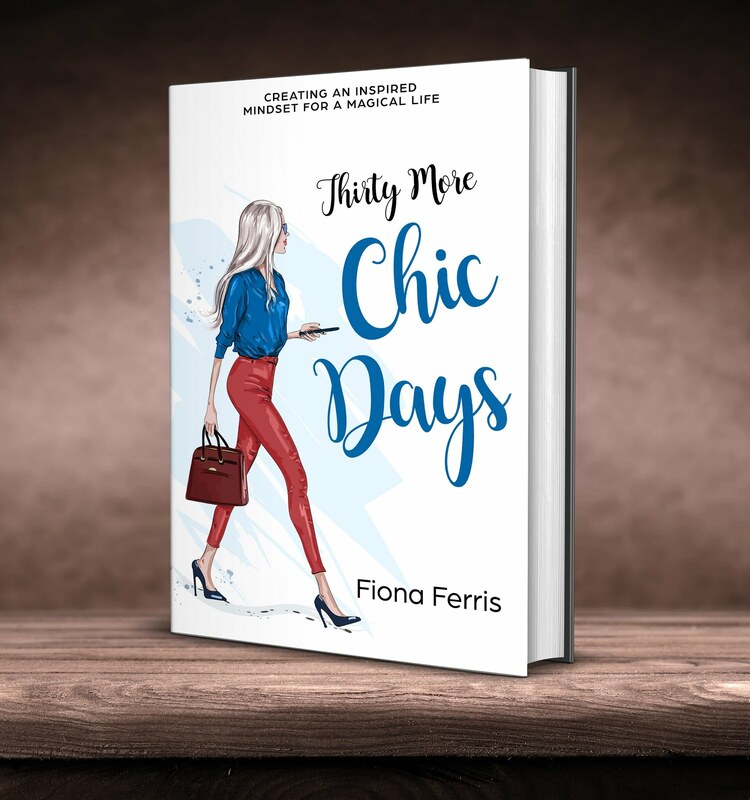 I am really looking forward to your new book Thirty More Chic Days. I hope there will be an audio version too. 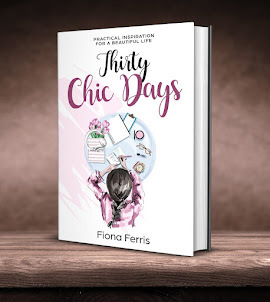 I enjoy listening to Thirty Chic Days as I get ready in the morning and when I am driving. Very relaxing and inspiring! I love the whole anticipation to Christmas period almost as much as the actual day! We generally decorate the house at the end of November as we take the decorations down the day before our eldest child’s birthday on 29th December. My style of decor is mainly Scandinavian- red and white, fair isle prints, touches of wood... we visited Norway a few years ago and there were Scandi Christmas shops open all year round so I couldn’t resist buying some gorgeous decorations even though it was August! I’ll put pics on my blog in a few weeks time when the decs are up. Thank you for the link to the AD article about his home. It is stunning! I love how his style stays so consistent and classic. I love how you are using him as inspiration! I enjoyed your blog very much - and also the links. 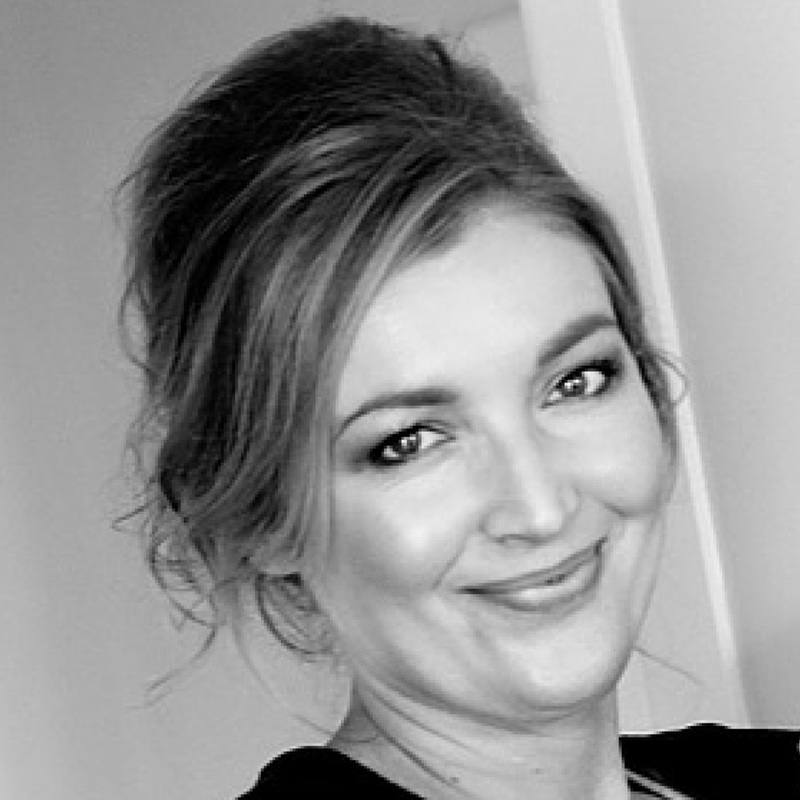 Jamie cat Callan wrote a few books on French women & when she asked about their "guilty pleasure", they either didn't have one or said, "Guilty for what?" Guilt is not a concept they understand. Instead they strive for pleasure and independence which they feel is their birthright... so there is really no need for guilt. Well, that's my interpretation. I hope your holiday season is full of pleasure and as you decorate your beautiful new home, I hope you exercise your independence and do exactly what makes you happy without a shred of guilt! Merry Christmas! I love that you said that - "Guilty for what?" I am going to adopt that attitude because it is the correct one! Ralph Lauren is quite interesting, he's someone who created his life the way he wanted it. He grew up the son of immigrants in the Bronx, like my own father, and he really lives his own philosophy in the same way my father does. His style doesn't work for me, I'm not a "classic" dresser, but I like looking at it because he interprets it with consistency. I don't do Christmas, but I like the music and some classic movies/books. I've read Raymond Briggs' Father Christmas books every year since I was a child. I tend to pick a few seasonal activities, like going to the zoo for their Zoolights display, and visiting a historical museum which decorates their period rooms for the holidays- the Daughters of the American Revolution in DC. They have 31 rooms which are furnished in styles from before the Revolution up through the 1940s, and they're fascinating to look at. Ralph Lauren is not really my personal style, however I do feel that he has great style! 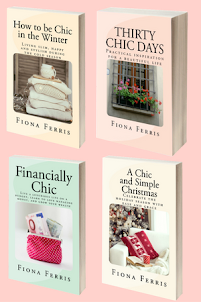 He has a certain type of elegance, for sure.Great news about your forthcoming book,Fiona, you are indeed The Chic Lady. Hi Fiona! I've become a big fan of you and your blog. Thank you for this pre-Christmas wake up call. I also have lived my whole life with the angst of not being my imaginary ideal woman with the perfect lifestyle. It's so refreshing to feel, firstly, not alone and secondly, that this uneasiness is misplaced. I am not a felon, I enjoy my job, my husband and children love me and I have good friends who walk through all the ups and downs of life with me. Becoming a teeny bit more chic every day (and recognizing when I'm not and getting a grip) is such a great feeling! You are an eloquent nspiration! Here in Vancouver we have the carol ships cruises at Christmas time which run up and down the inner harbor with twinkle lights, food and Christmas carol sing-a-longs which is one of my favorite Christmas traditions. I have one question on another topic. 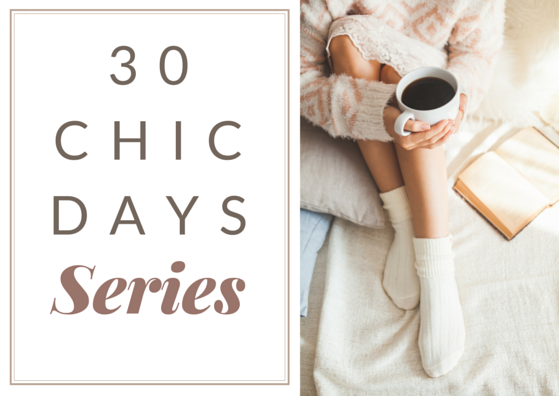 I recently purchased your "How to Be Chic in the Winter" and I love it! You say you use diced pumpkin in your pasta bake. Here, we never see fresh pumpkin except for around Halloween and I'm wondering what other kind of squash or root vegetable would be a good substitute. I'm looking forward to trying this recipe. I also made your apple crumble to take to a visit with friends last night and it was a huge hit. Four of us ate the whole thing..... not terribly chic! Ha! I love the idea of Ralph Lauren. My husband's maternal side were also MacDonalds and in my new house I am going a bit Ralph Lauren in the study/library. 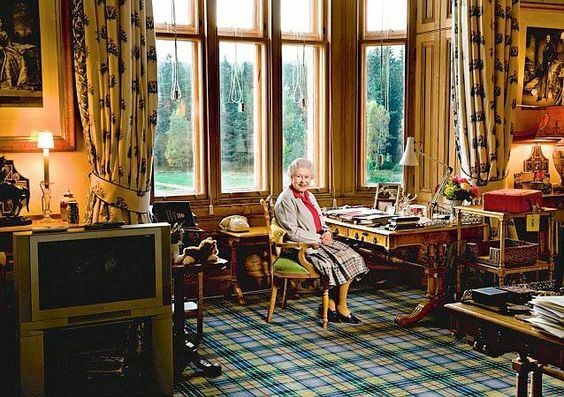 I was thinking of using reds and greens in that room and tying it together with a footstool upholstered in MacDonald tartan, and a MacDonald tartan throw rug. The Hunting tartan is a lovely muted red and green. You can also pick up antique tartanwear desk items like boxes. 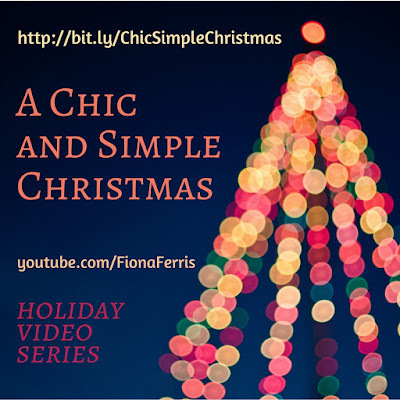 Enjoy your chic Christmas. I've enjoyed Ralph Lauren for decades. His style works for my life. He has several clothing lines from haute couture prices to department store prices. I've teeshirts, sweaters, blouses and handbags. His line Lauren by Ralph Lauren is affordable and classic. I have thoroughly enjoyed every single book you have mentioned in your blogs. Please keep them coming. I go back through older blogs looking for more books! Hmm, I would say apart from genes that I drink tons of water every day, and I get good sleep. I exercise most days - walking, with a weights workout three times a week. I eat tons of fruit and veges too (always fresh, sometimes cooked, sometimes raw). I have always eaten a lot of sugar so I don't really deserve my skin. I look after it too though, cleanse-tone-moisturise morning and evening since I was a teen. 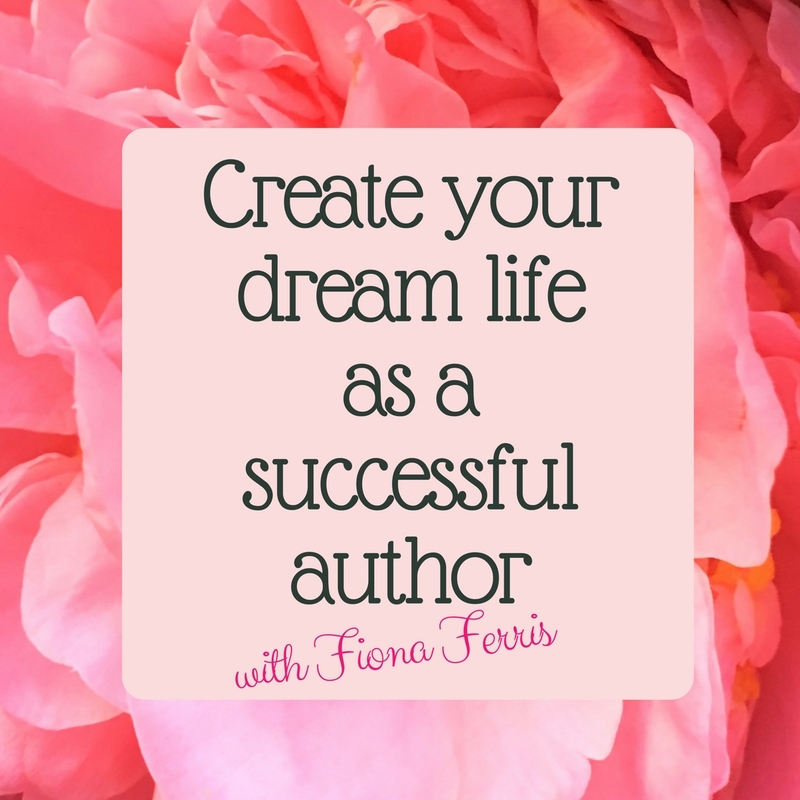 Oh, Fiona, thanks so much for this! We've just been discussing Christmas this past weekend -- & my guilt about not "doing it right"! Could your timing BE any more perfect? Last year I tore a back muscle 2 days before Christmas. I was bedridden for almost 4 months & am only now finally anywhere near "healthy". Christmas last year was a total bust: or so it seemed at the time. Now, I'm not so sure. We didn't do Christmas dinner last year: no turkey, no fixings. My partner is more than capable in the kitchen, but I was in too much pain & too doped up to eat, so he didn't bother. No tree. No decorating. No entertaining. No company. I'd bought a ton of party finger-food the week before & the freezer was full of little quiches, spanakopeta, calamari & a dozen other things. And that's what we ate for the whole week: munchies, cheese, crackers, cold cuts, a few sweeties, fruit, veggies & dips, sliced baguette, tapenade, olives and so on. We read, we watched movies & TV, we talked, we held hands (no cuddling; I could barely move!). Looking back, it was actually perfect. The weather was horrible & we basically just "nested". We've decided to do the same thing this year: **without** the back injury. No tree or decorating other than tons of candles & a big vase of cedar branches for the scent. No big meal: just a stuffed turkey breast & lots of veg. Tons of "finger food", no regular meals, we'll graze when we're hungry, no parties, no entertaining, just the two of us & a serene week of relaxation, good food (& maybe some cuddling ;^). And absolutely NO guilt. You have no idea how much I'm looking forward to a holiday season that's SIMPLE. Thanks too for the link to Ralph Lauren: I've never paid him much attention until now. 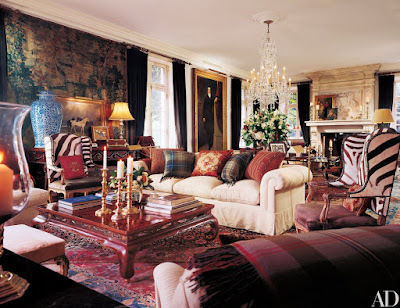 His decor style is a bit overwrought for me (& I detest plaid! ), but it's also a refreshing change from the white-on-white minimalist trend of late which I also don't like (I'm more of a boho hippie, with lots of plants, cats, books, wicker, colour, textures, rugs & did I mention plants??!). I look forward to reading the book & exploring his world more fully. For a couple of years I was suffering with depression, and the holidays held no joy for me at all. I just couldn't be bothered. Last year I got more help (I suppose my problem with guilt is that I felt I shouldn't need help for depression -- "just buck up" is what my mom would have said) and felt a bit more like celebrating. This year I still don't plan to over-decorate (we live in a small apartment). But I will have candles, and vases full of cedar branches and holly, and the crèche (my grandson, who is 2, can add the baby Jesus on Christmas eve this year), and lots of Christmas music! We enjoy the huge, beautifully decorated Christmas tree in front of our state Capitol building (only 40 miles from our house), and there are horse-drawn carriage rides through Capitol Park (with little twinkle lights on most of the trees) that I'm really looking forward to. My son in law doesn't like turkey, but he wants to make enchiladas using his grandmother's recipe, so Christmas dinner is going to feature them, with Spanish rice and a huge green salad with a zesty dressing. My mother passed down a recipe for corn pudding which we all love. Don't know about dessert -- maybe something chocolate and not too sweet to honor my son in law's Mexican heritage. And poinsettias! Now I'm getting lots of ideas . . . .
My mum passed away 5 years ago just before Christmas. In her honor i bought a 5ft white faux tree and decorated it with just birds and butterflies as she loved them so much. I have to say ...it was stunning and gave our family great joy. Now every year We all include some of those decorations on our tree. Your white tree with birds and butterflies gave me tingles down my legs, Jo :) How lovely to remember your mum by.